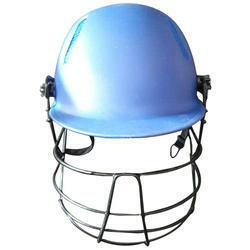 Batting Helmet Colt is made of high class protection material which gives superior protection from injuries. This cricket Helmet is available in 3 sizes - Small, Medium and large. It is made of international quality material which gives comfortable and durable feel. batting helmet regular size pvc plastic head iron grill. Looking for Cricket Helmets ?